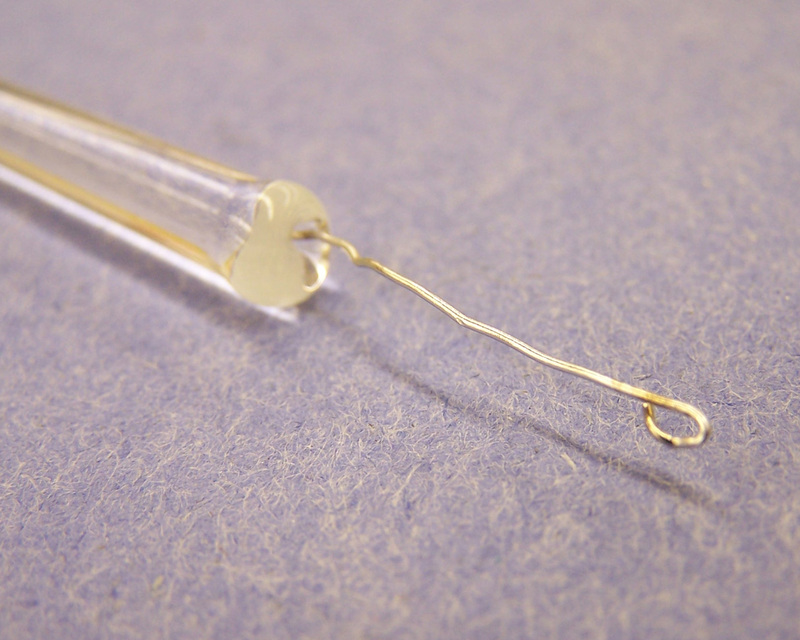 Platinum is a very heavy, soft, malleable and ductile, silvery-white metal. (For more information about phosphorus, click here.) 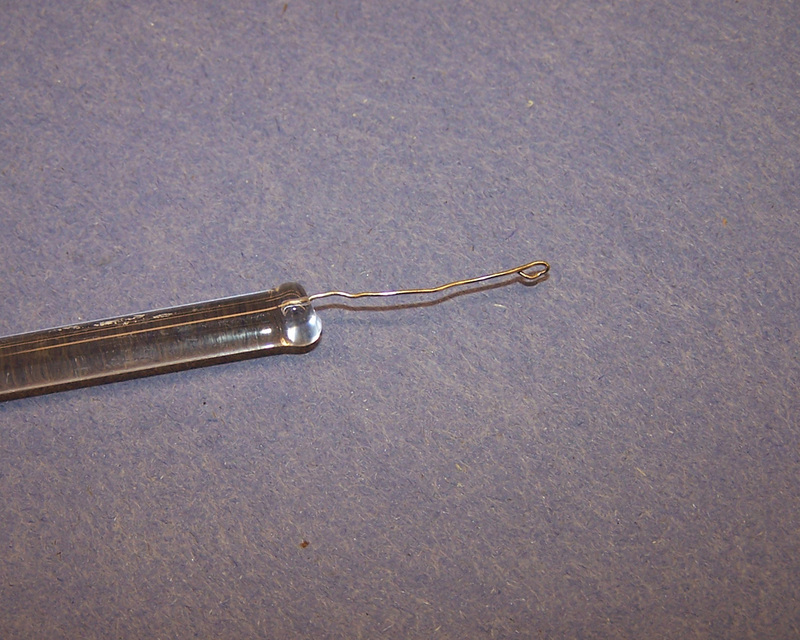 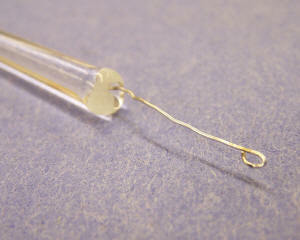 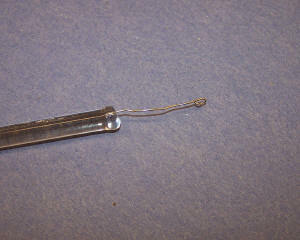 The sample below is a small piece of platinum wire that has been imbedded into a glass rod for use in flame tests. Many metal cations emit characteristic colors when heated. 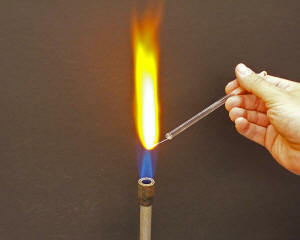 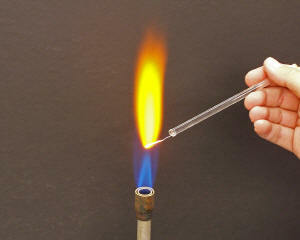 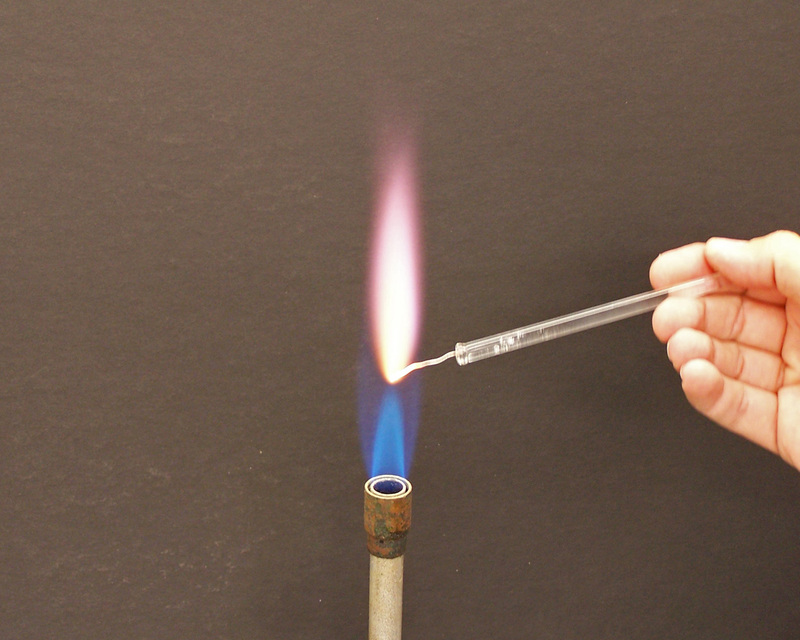 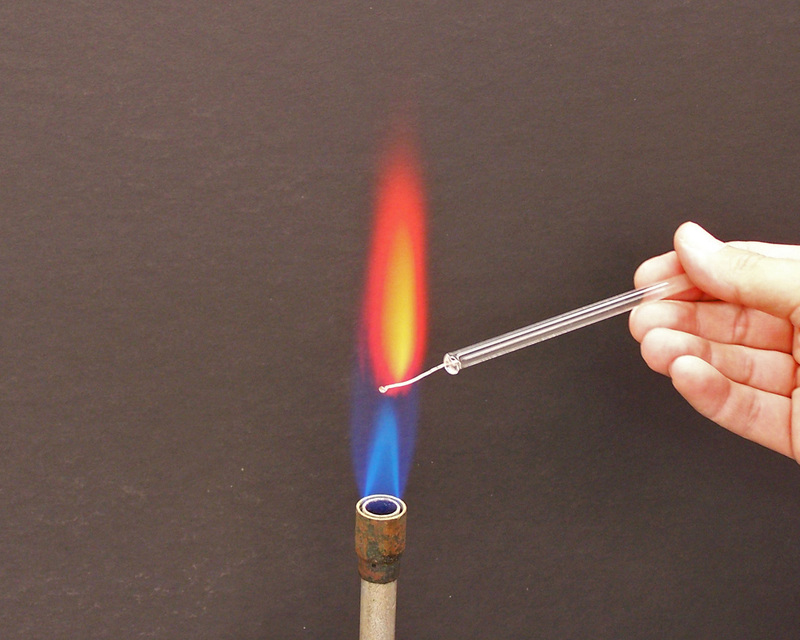 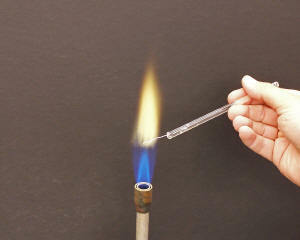 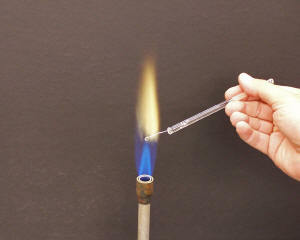 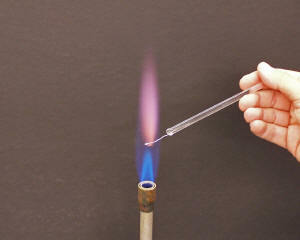 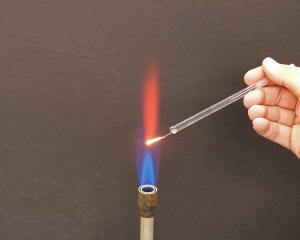 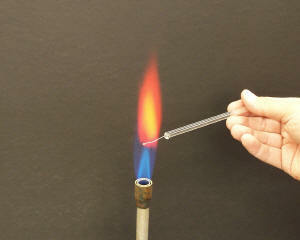 A small sample of the material to be tested (usually in an aqueous solution) is placed on a platinum wire, which is then held in a Bunsen burner flame; the color of the flame indicates the presence of certain metal cations. 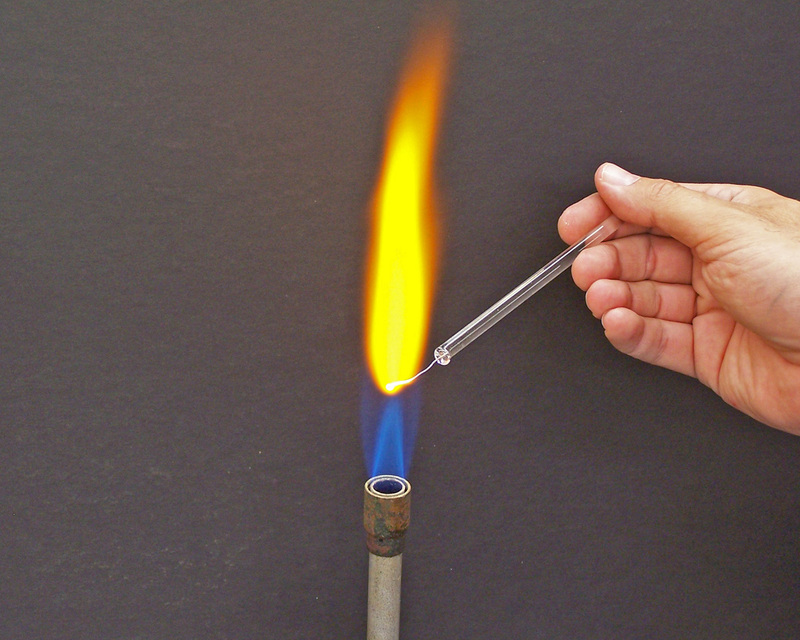 Platinum is especially good for this because it is unreactive, and does not produce a color in the flame which will mask the presence of other metals.